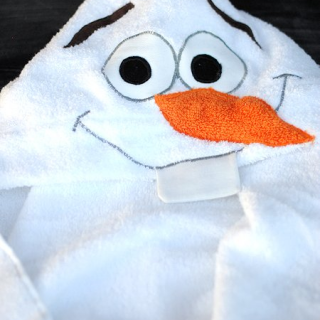 When March came in like a Lion (Hooded Towel) I hinted that you’d see something fitting for the end of the month. It’s not hard to guess. 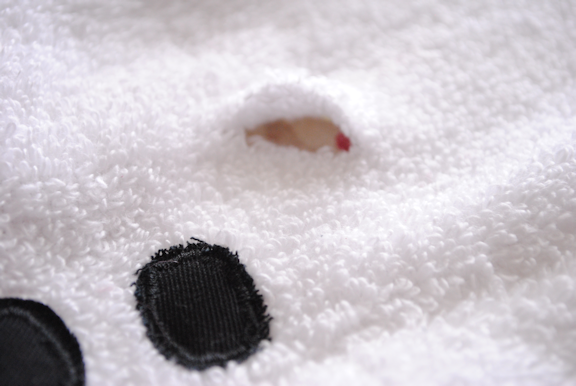 March is going out like a… Lamb Hooded Towel! I don’t know. Is your weather lamb like? I hope so. 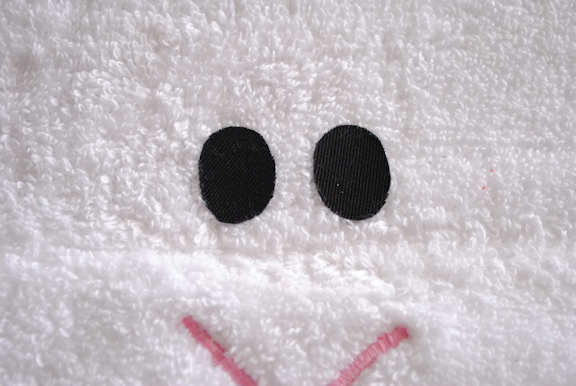 This could also be a great towel for Easter to go along with the bunny and the duck. This tutorial will teach you to make the head. 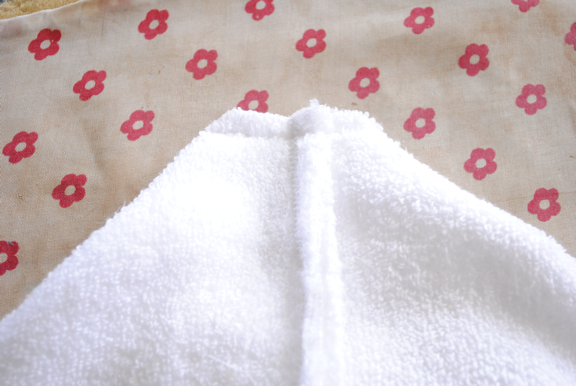 For instructions on how to sew the actual towel part and attach the head, read my hooded towel post. 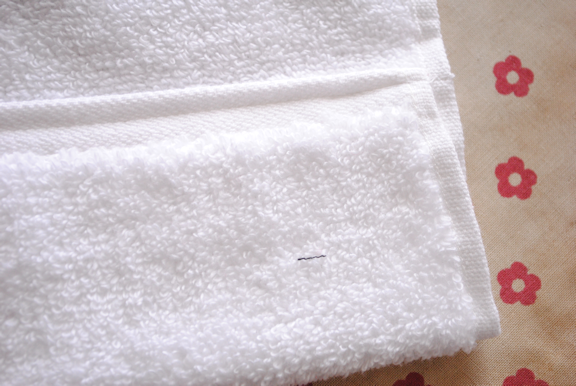 Start out by cutting your hand towel in half horizontally. Fold under the selvage edge about 3 inches or so. Stitch it in place. Now turn it over and work on the underside. 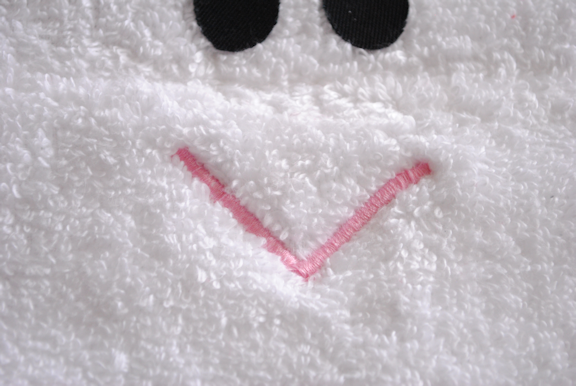 Then applique around them with a tight zig zag stitch. Poke your ear through. 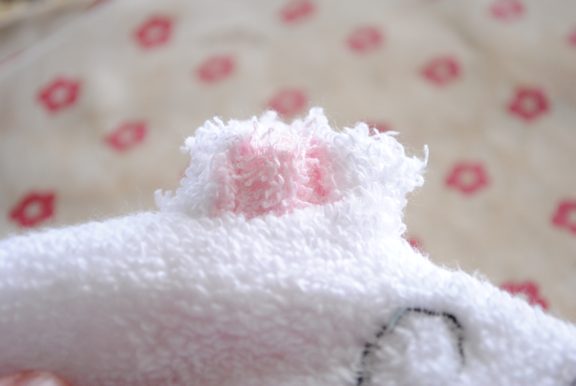 It should look like this on the bottom: Sew that opening closed and trim off excess ear on the bottom side. Do that with both ears. Now your hood is done! Just attach it and you’re all set! 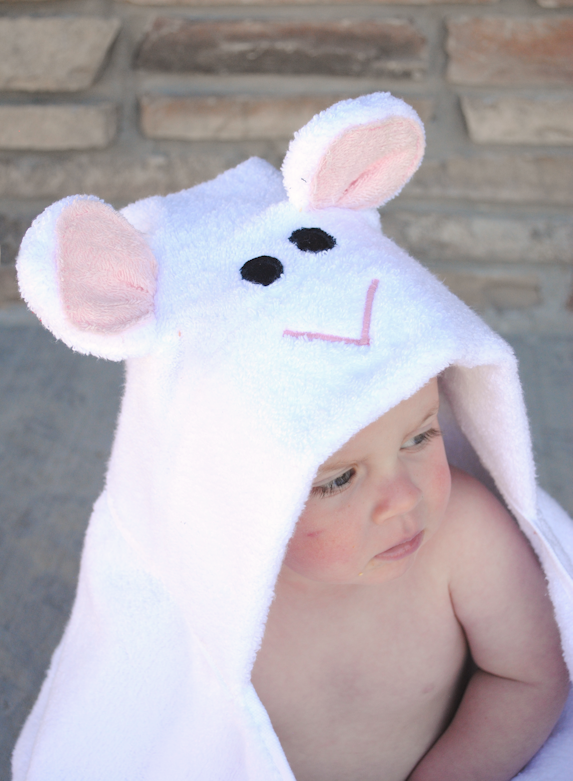 Be sure to check out all of the hooded towels for babies and toddlers. There’s a bunch! Having difficulty understanding what you mean with the ears on the tutorial. 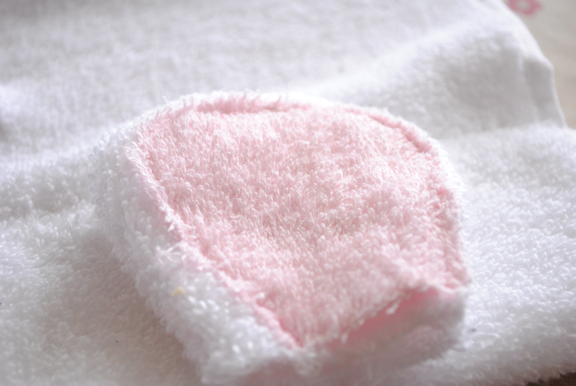 I have my first ear going – I have sewn two white pieces together and don’t really understand how I get the pink attached. Do you sew through all three layers and then turn right side out? Thanks! 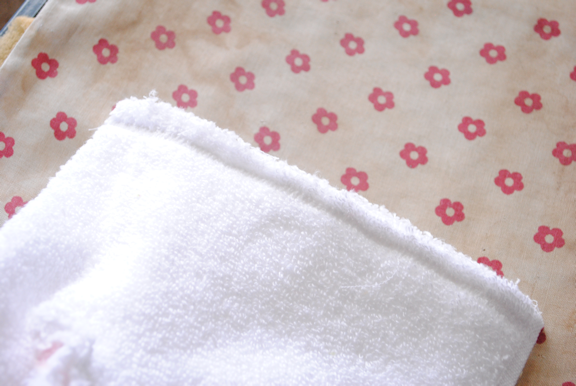 I usually do the pink before sewing the two whites together. 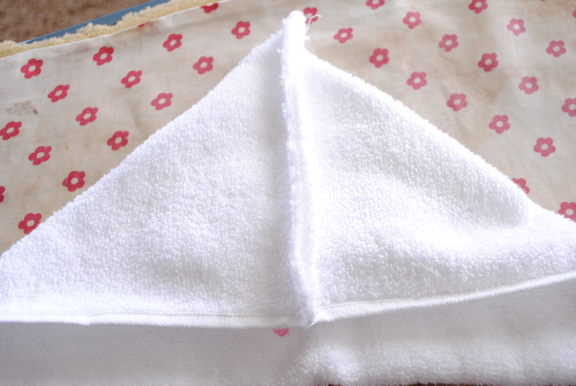 I’m loving these hooded towels, cant wait to make one. 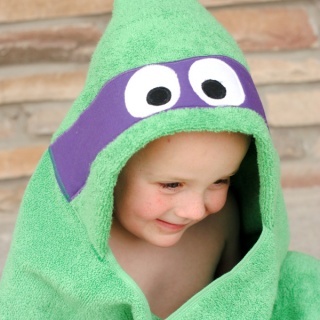 One question though, for small children (one year olds), do you change the dimensions (half the towel)? 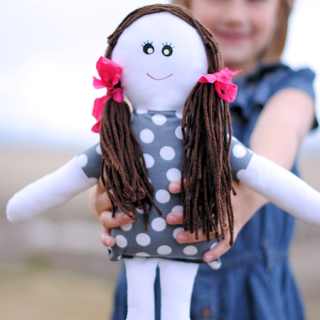 I am making this for a friend’s little girl and have no children of my own so I cant judge size. Thanks!